My personal blog for what interests this computer guy. Web development, LEGO ray tracing, ZX81 retro computing, writing and photography. With the arrival of Spring and warmer weather, I found myself inspired by the cheerful colors. Looking through my pins for ideas, a rainbow sparked my creativity. Thoughts of an Easter hunt with eggs and grass completed the theme. 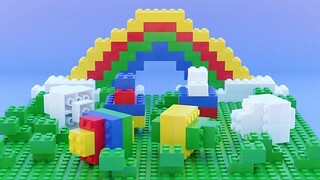 The blocky nature of the LEGO bricks invoke adolescence and whimsy. 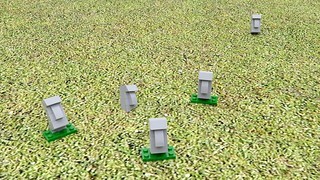 After posting my artistic image of Custombricks Moai, I decided to share the models on Mecabricks. I probably should have checked first, as I found others had already shared. Oops. Nevertheless it was also an opportunity to download and render the models for a more realistic image. In my youth, I often looked to real games for inspiration. Card games were one such source and one I drew from often. Some attempts, like Stud, were simple high and low games. 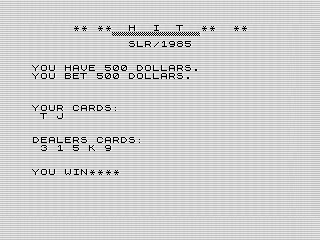 For Marchs program, Hit tackles the more complex Blackjack, eschewing graphics to focus on gameplay. Although I enjoyed that moon picture on my blog, it�s been there far too long. In looking for something new in 2019, I decided to use a picture of a playful sea turtle. 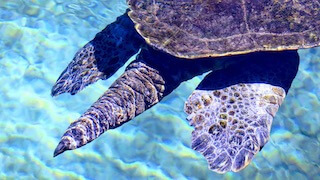 The photo, taken while I was in Mexico in January, shows the backend of the turtle as it swims away. I thought that fitting for my blog where I hope you take a bit of each article with you when you leave. As February closes, I thought it fitting to recap my renders this month. Four in total, although not quite one a week. 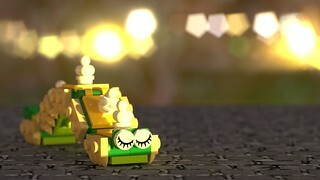 Added to last month�s render, I�ve almost shared as many as last year. Hopefully this means a lot more LEGO fun is in store for the rest of year. Let�s walk back through them and see what I�ve been up to. I dug into some older games for February�s program, Missler. 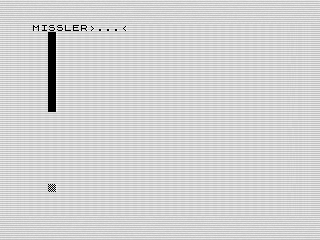 A simple yet effective game, Missler is a great example of programs I dealt with in the eighties. In this case, you must maneuver our anti-missile artillery in an attempt to stop the incoming barrage. The start of the 2019 year is passing quickly, so I needed to get a game in quick. I found a short little program called Trench Runner, but to my surprise, it had two listings. 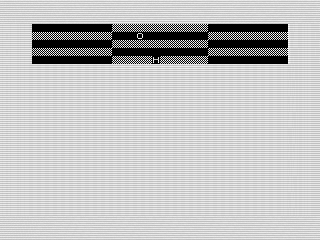 So, I took advantage of the situation and am offering two ZX81 games for January. 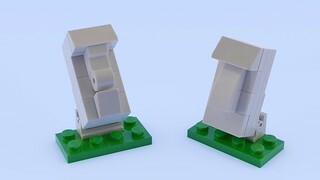 It�s been awhile since I rendered a LEGO model. 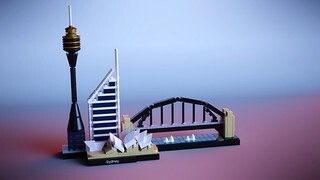 Checking into Mecabricks, I noticed a comment that the name plate for my Sydney model had been added. Although someone had been kind enough to add it to the model, the render was now out of date. So, I got to work updating it! Over the holidays, I dug through my listings to see what was left. I still have quite a few left, but the pile is definitely smaller. Im starting to come across games I dont remember as much. The Monster, this months program, is one such game.